Recently I was inspired by Patience Brewster and thought I would spread some early Christmas cheer! For those of you new to Patience Brewster, Patience is an artist of handmade and handcrafted unique gifts and ornaments. Here work is truly beautiful and I was more than happy to join them. There are many reasons that I love the holiday-being together with my family, picking out our tree, buying and wrapping gifts, making cookies, waking up on Christmas morning....there is so much joy that surrounds December and I always aim to do my best to document this time of year. One of my personal holiday favorites is the return of the red cup at Starbucks. Nothing says Christmas is near better than the taste of a hot gingerbread latte! On this particular day last year it was raining, so I took my dog with us to pick up my son at school. Of course, I left early so I could swing by Starbucks before heading off to battle the masses of a rainy day school pick up! Well, I will have to say that opening up my box of Christmas supplies has certainly ignited some excitement for the closer-than-you-think-it-is holiday season. And this is a good thing! 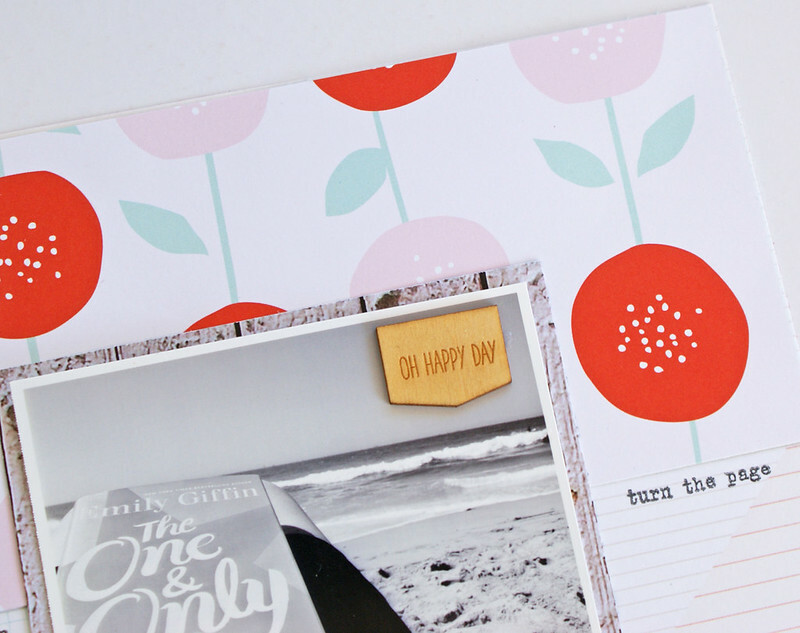 I feel like hitting Pinterest and actually tackling some of those holiday crafts I always wish I had time to do ;). 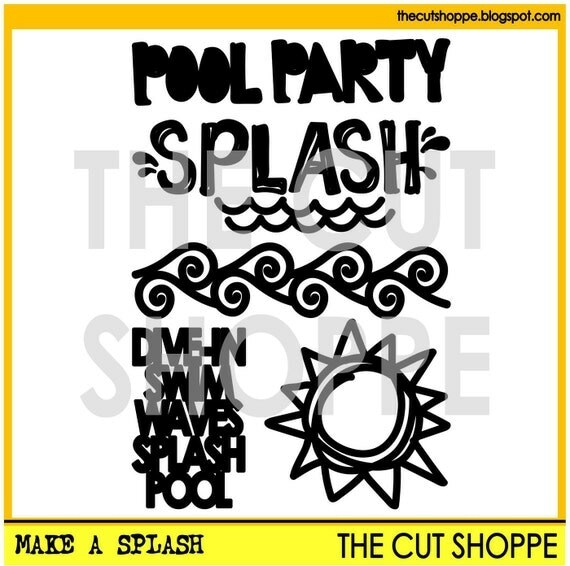 I was super excited when I saw the Make a Splash cut file pop up in The Cut Shoppe! 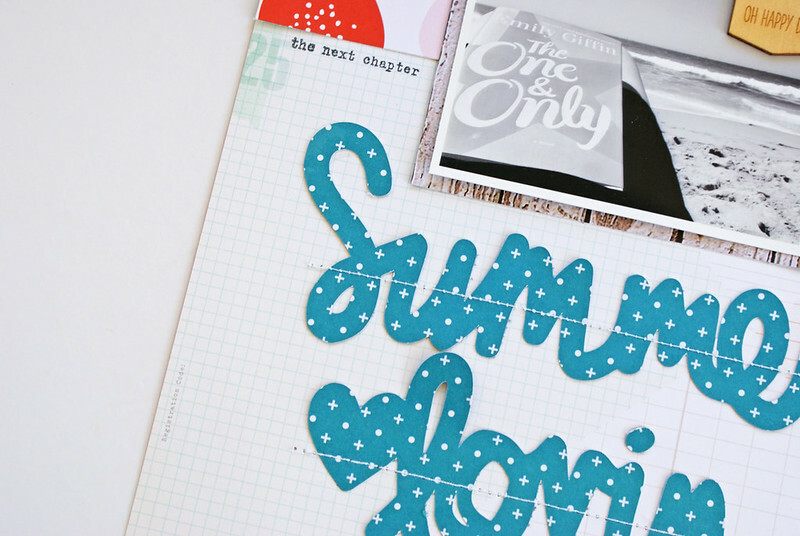 I am a big fan of summer and all activities water and sun related, so these images are sure to make their appearance in many of my projects to come. 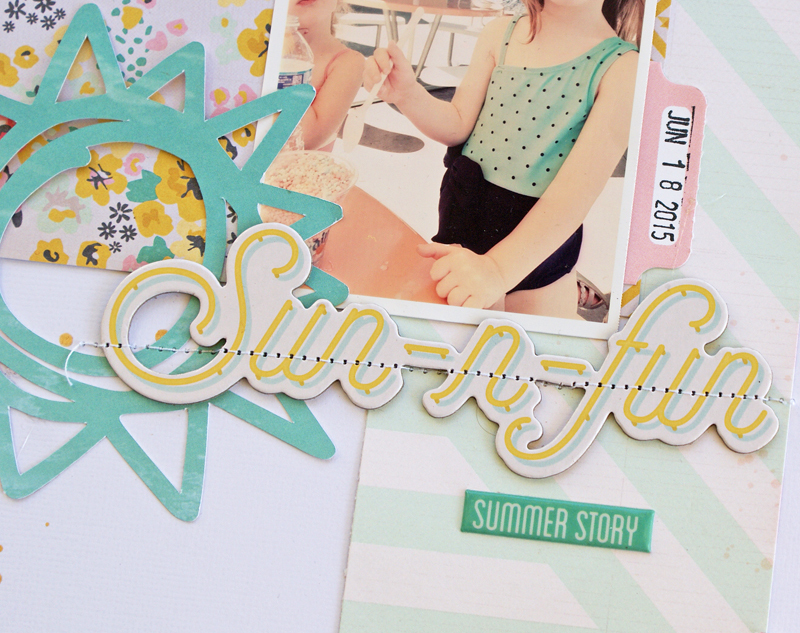 My favorite image from this set of cut files is the sun and I let that inspire this next layout, Sun-n-Fun! 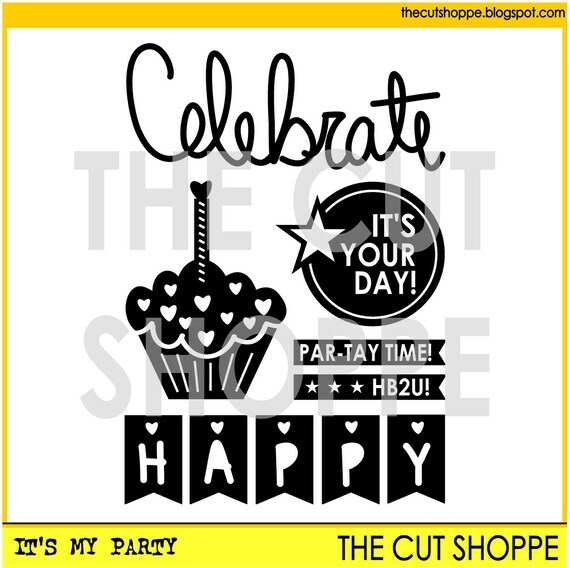 One of the ways I like to use cut file shapes is to cut them out in more than one size and play around with their arrangement. I find that this is an easy way to not only make a project cohesive, but also to lead the eye around the page. All the supplies I used, minus the Fancy Pants pineapple flair and stickers from October Afternoon, are from Crate Paper's Poolside and I think that it just might be new favorite Crate collection. The colors and patterns have been ones that I keep pulling out for projects--they just seem to go with everything I am scrapping right now. That's a good thing too because I may or may not have bought the entire collection ;). 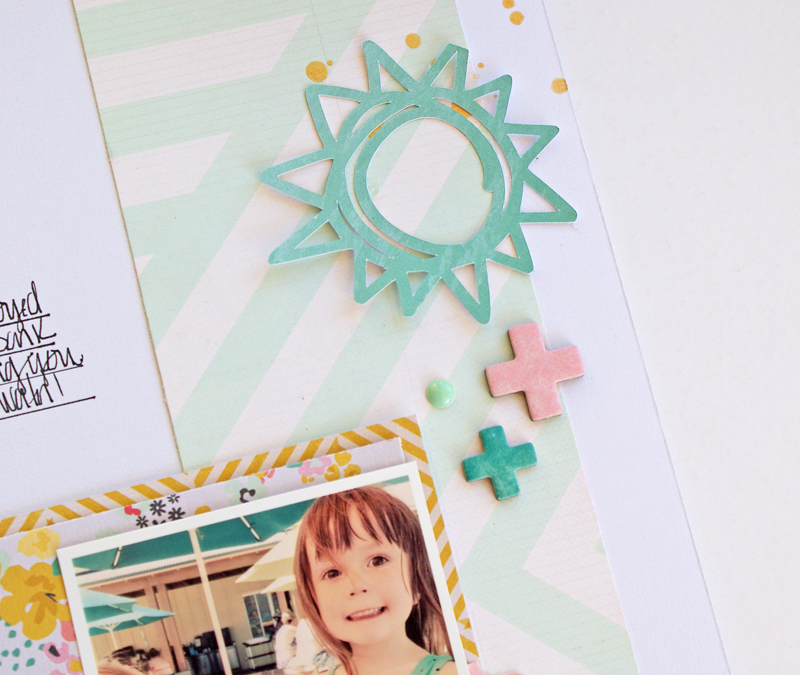 Overall, I certainly love the little bit of sunshine that the cut file brought to my layout :). Wishing you a great day! 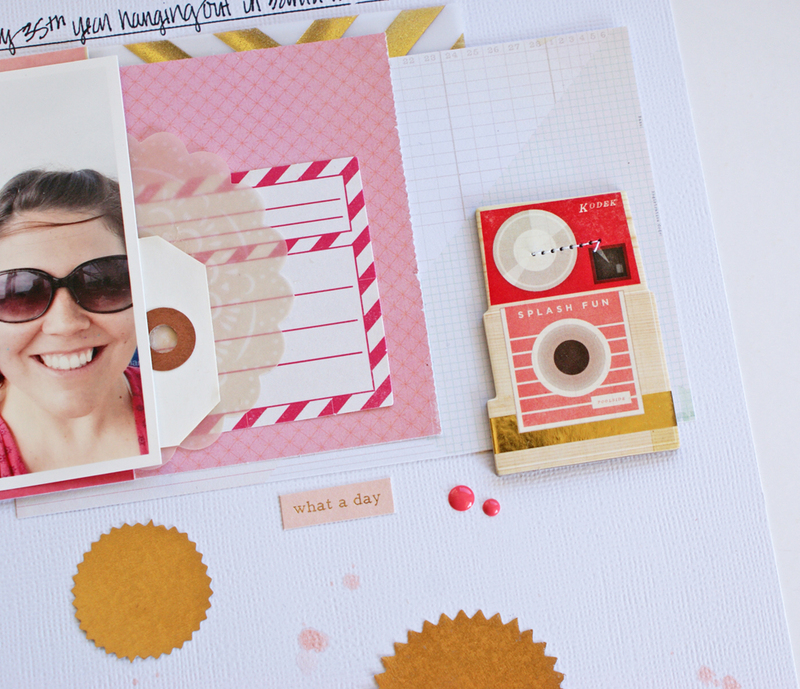 CSI is a scrapbooking challenge that inspires you to try new color schemes and to tell your stories. 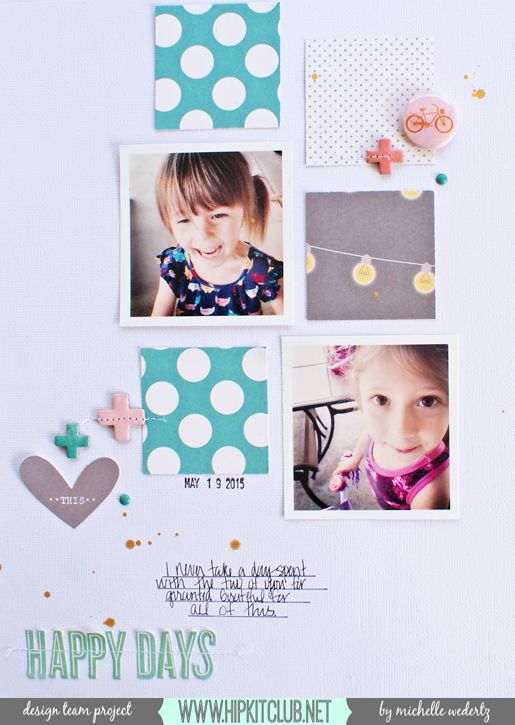 Our case files provide inspiration that will get you thinking about scrapbooking in a whole new way. A new case file opens for investigation the first, second, and fourth Friday evening of each month at 6:00 p.m. EST. 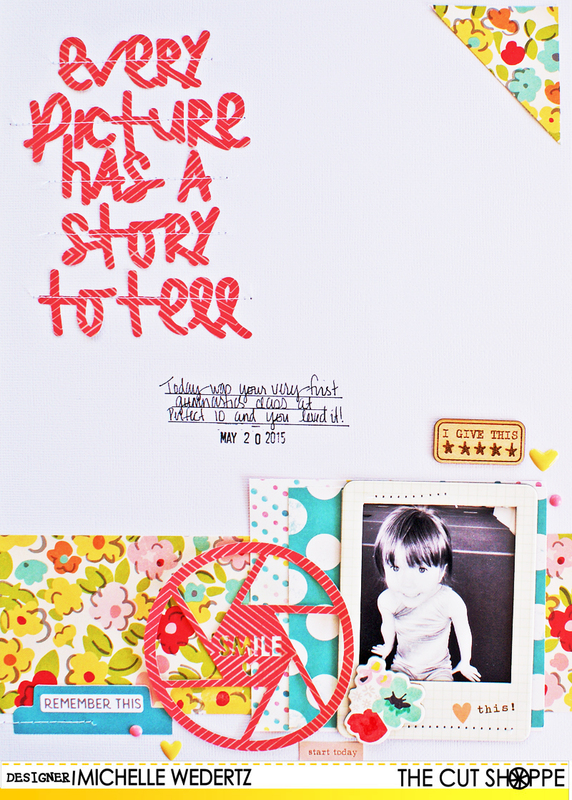 CSI is all about inspiration and sharing and, most important, fun! 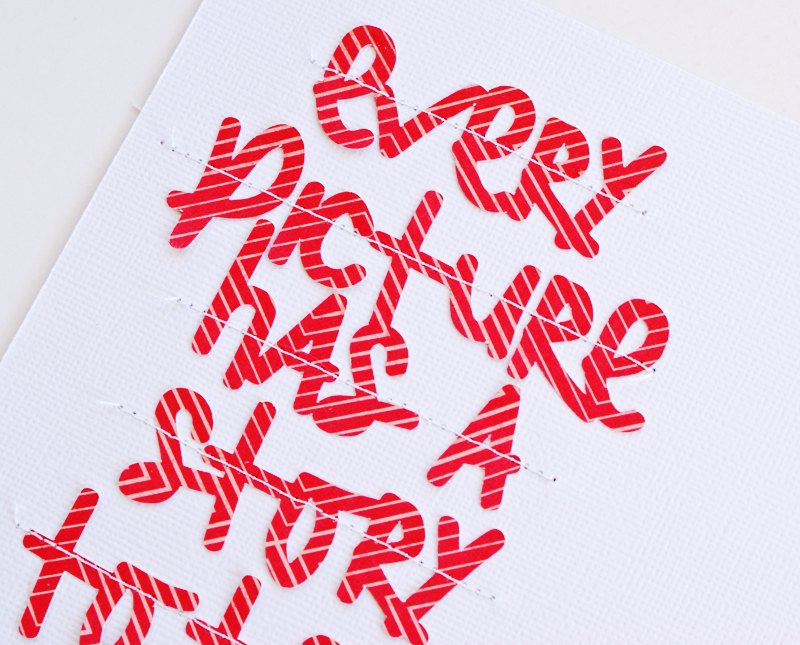 We can't wait to see the stories you'll tell and the art you create! There is still plenty of time to play along with Case File No. 171, so make sure to stop by CSI and check it out! I had quite a bit of fun going through my supplies and picking out items that I thought might work. I really appreciated the opportunity to tackle this challenge and am looking forward to seeing everyone else's take on it! Hi guys! 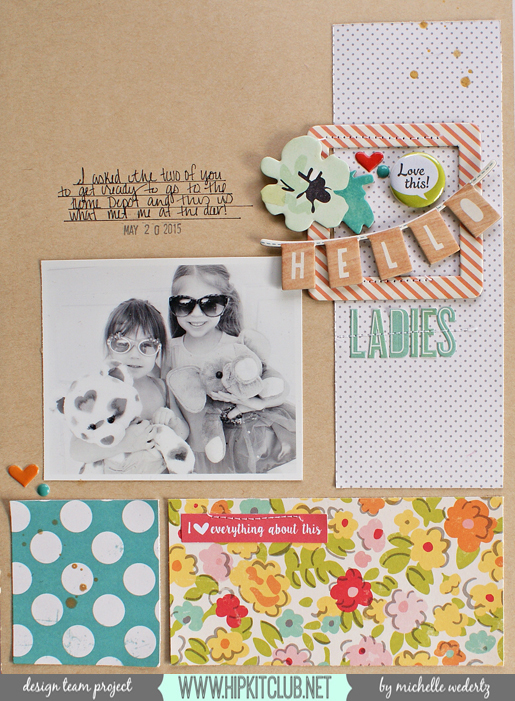 Today I am back to share a new layout featuring the kits from The Hip Kit Club. 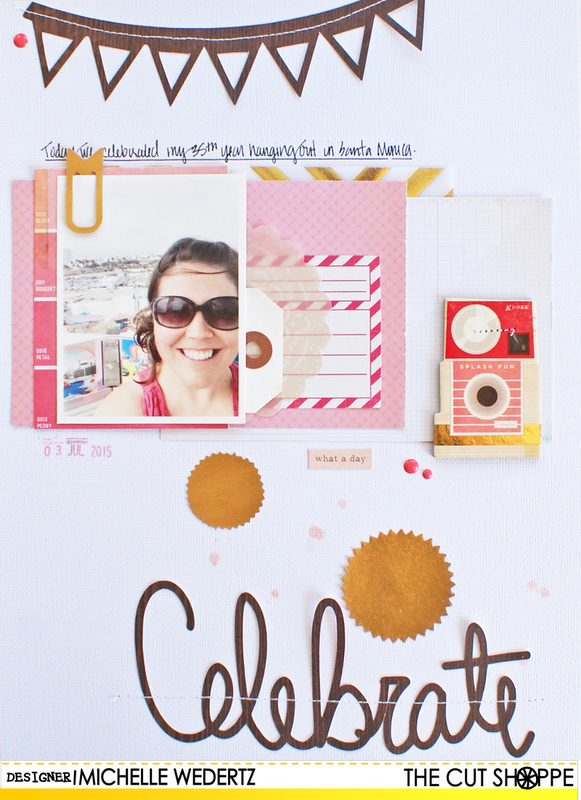 I was recently super inspired by fellow Design Team member Missy Whidden's use of a kraft colored background, so much so that when I went to work on this next layout I started by pulling out a sheet of Kraft from the July Cardstock Kit and let that be my starting point. 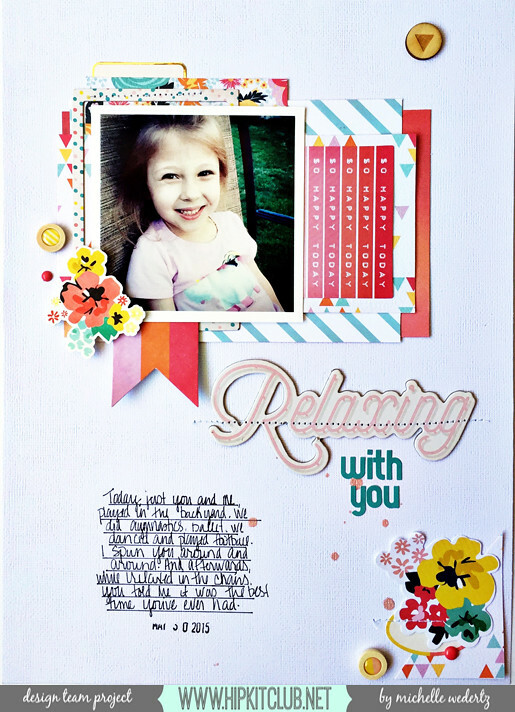 It used to be pretty common to find kraft in scrapbooking galleries and I thought it was fun to bring this trend back and I really appreciate the inspiration Missy's project provided. 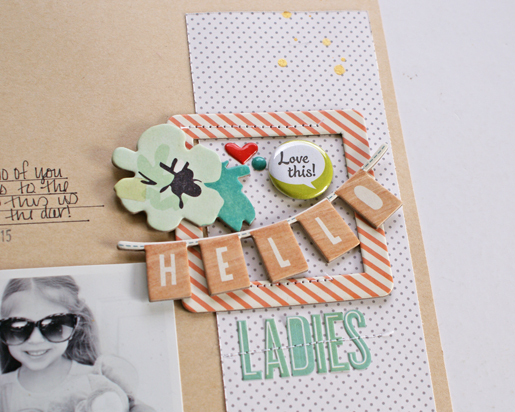 The Crate Paper chipboard pieces in the July Main Kit really made embellishing my layout pretty easy. 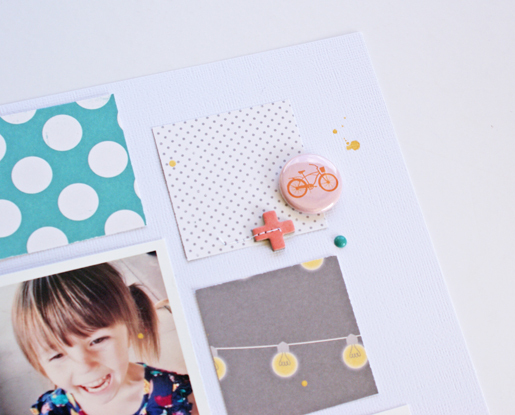 The combination of the chipboard plus the Simple Stories frame and October Afternoon flair make me think that these three items must have been made for each other because they go together so well! I don't know about you, but I really dig a good, bright red and I made sure to add some to my layout. The sentiment on the Elle's Studio tag pretty much summed up my feelings about this fun and funky photo of my daughters. 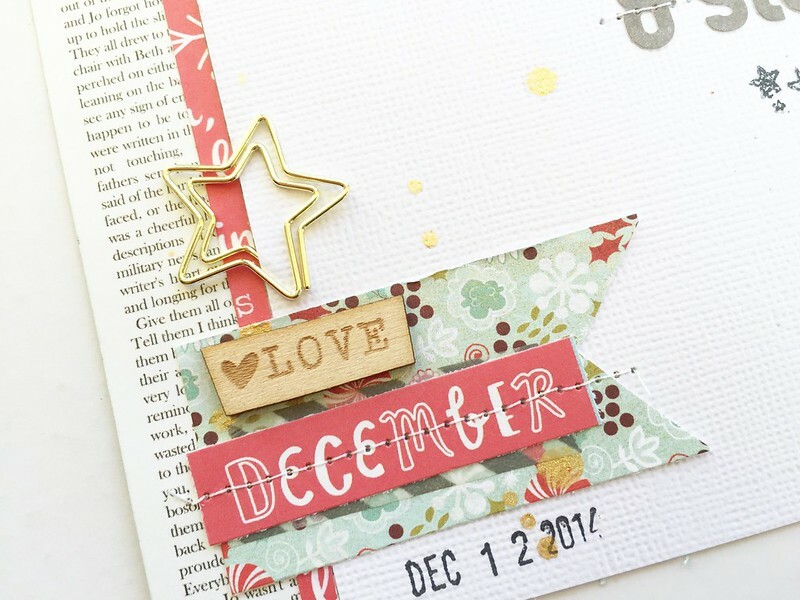 My first few projects that I have made with the July Kits have been such a breeze to make which, in my opinion, really goes to prove just how well the kits at Hip Kit Club are put together. Looking forward to sharing more with you next week! 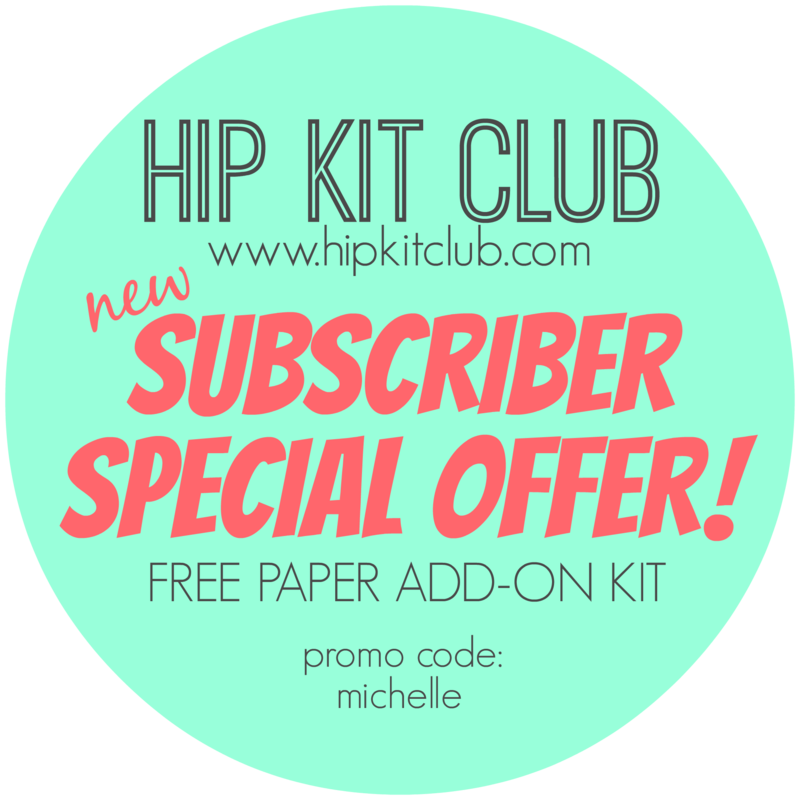 The beautiful August Kits from the Hip Kit Club were revealed this past week and today I want to share them with you ! Awesome aren't they? 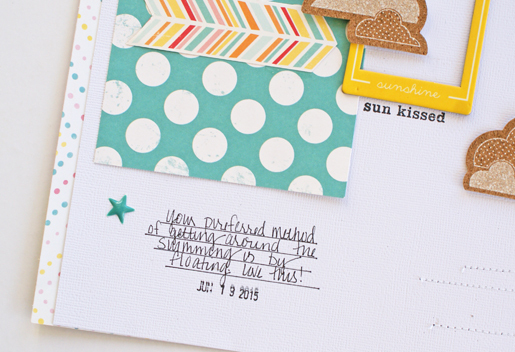 Did you spy all the Crate Paper Wonder in there? Such a beautiful kit! Hi guys! 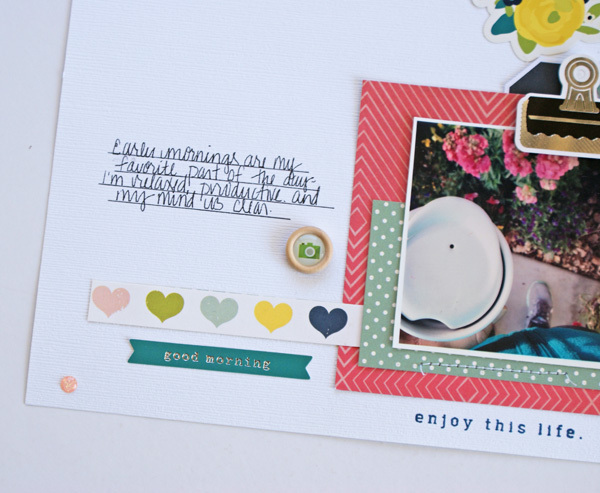 Today I am super excited to share my first layout made with the July Kits from the Hip Kit Club! I have some major love for my square punch and it made this layout come together pretty quickly. I had initially thought to make two rows of squares that went all the way down the page, but I stopped midway through simply because I liked it. 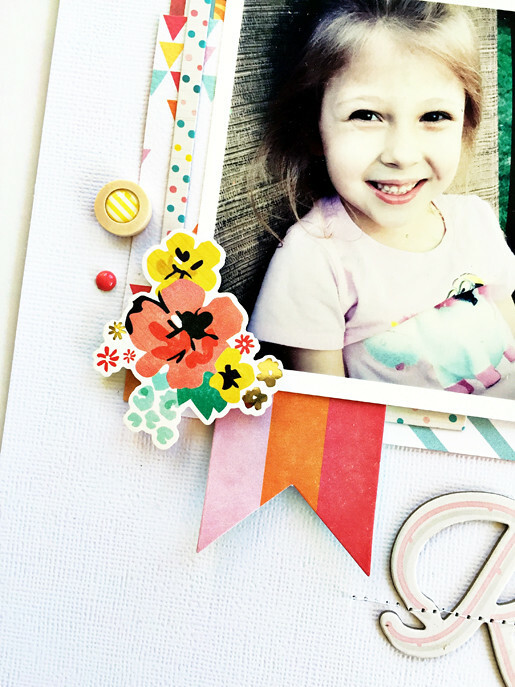 When it came time to embellish, I went with two simple clusters made up of a mix of the Elle's Studio die cuts, Crate Paper chipboard pieces, and enamel dots from OA. 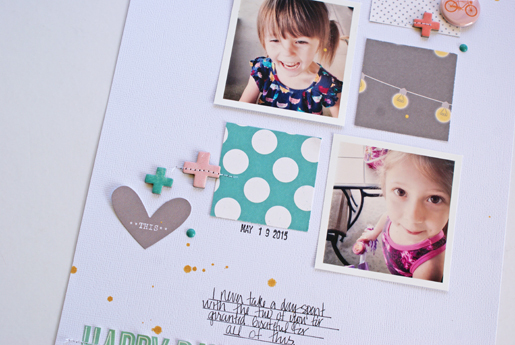 Welcome to my stop of the July Design Team Blog Hop! 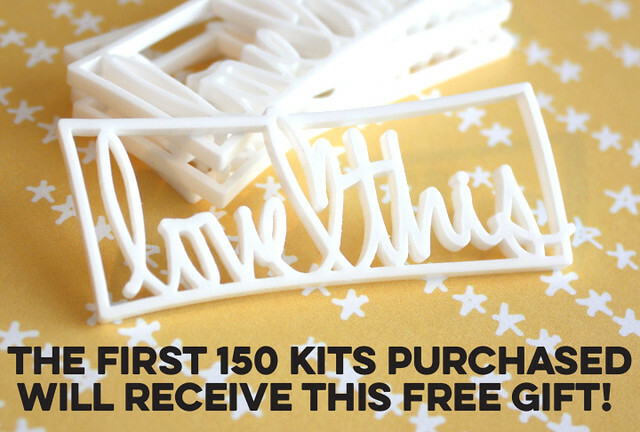 At Gossamer Blue we know that can be pretty overwhelming, so we've come up with a solution-each month on the 15th we are going to inspire you as you are receiving your kits! 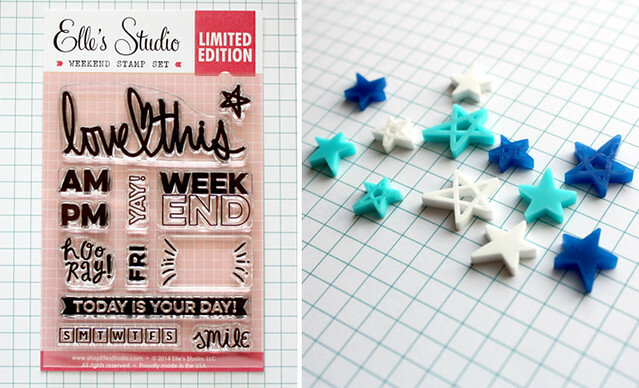 This month the July Kits-my first as a member of the Design Team-were amazing and I truly had so much fun creating with them. 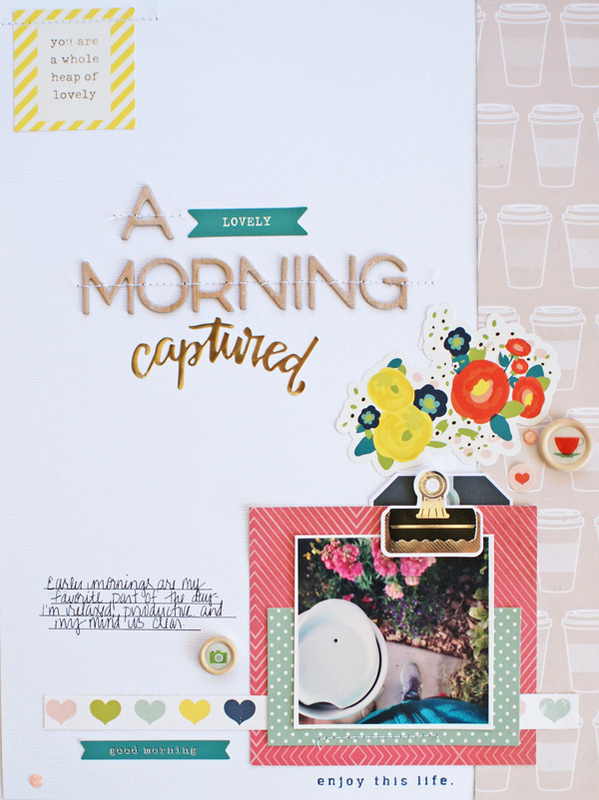 Today I want to share a brand new layout made with the July Kits that features some fun stickers and papers from Shimelle's latest collection. 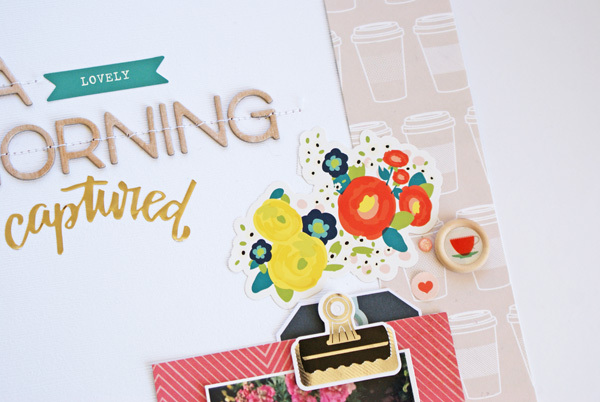 The grey coffee cup paper is so fun and I really enjoyed mixing up my title up. And of course I have a whole lot of love for anything floral, especially if they include navy blue! Hello! 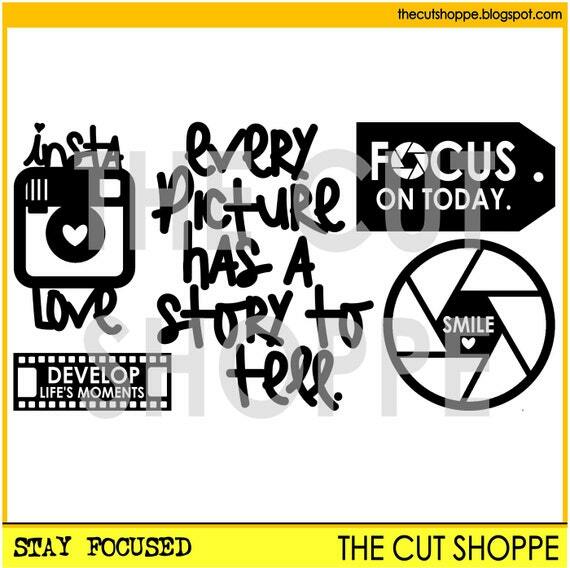 Today I want to share my latest layout featuring the very fun Stay Focused cut file from The Cut Shoppe! I love, love the "every picture has a story to tell" cut file because it really cuts straight to the purpose of my memory keeping. 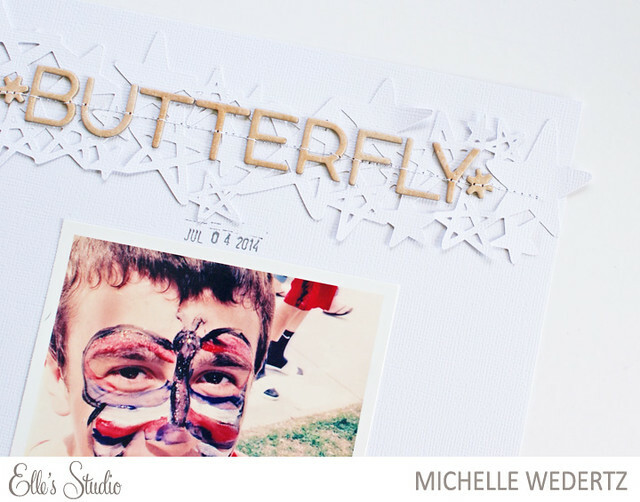 Each picture that I choose to scrap tells a story-sometimes that story is small and sometimes the story is big, but no matter what, the picture holds a special meaning for me and it is always my goal to communicate that through the layout that I design. 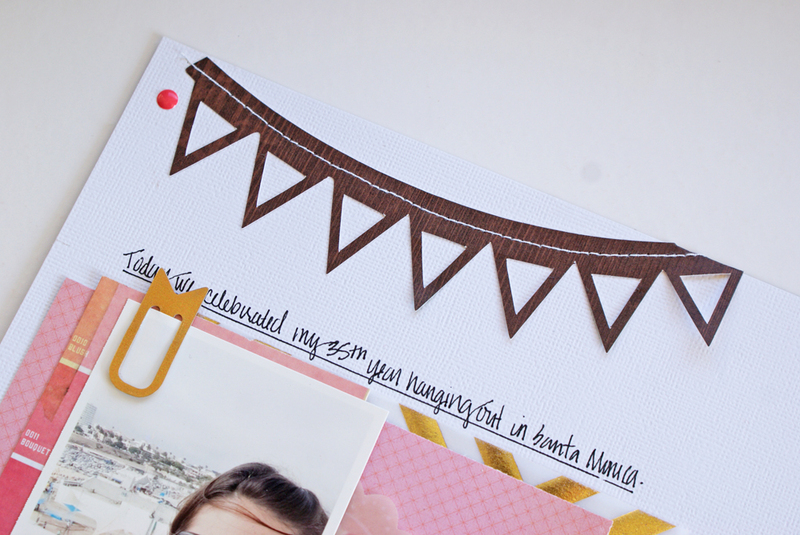 Using this cut file as my title in the next layout seemed like a perfect fit for the single photo that I had from the day my youngest began her first gymnastics class. 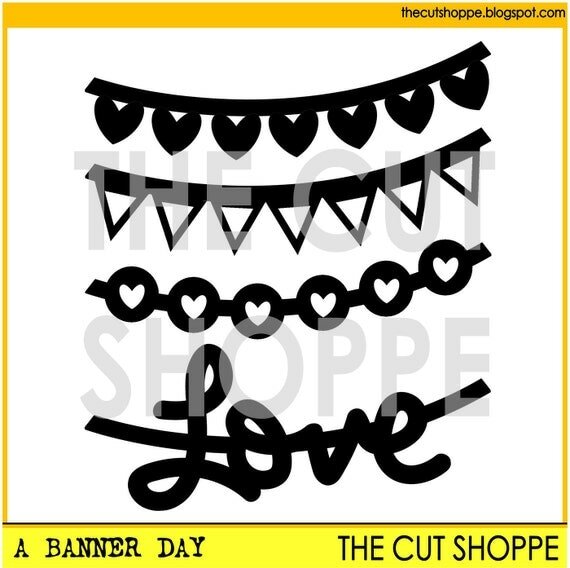 As I was working in Silhouette to size the title, I thought that it would be fun to also cut the circular "smile" piece out from the red patterned paper. This worked to bring the focus from the title straight down to the photo as well as to add some dimension to my relatively flat page. Hi guys! 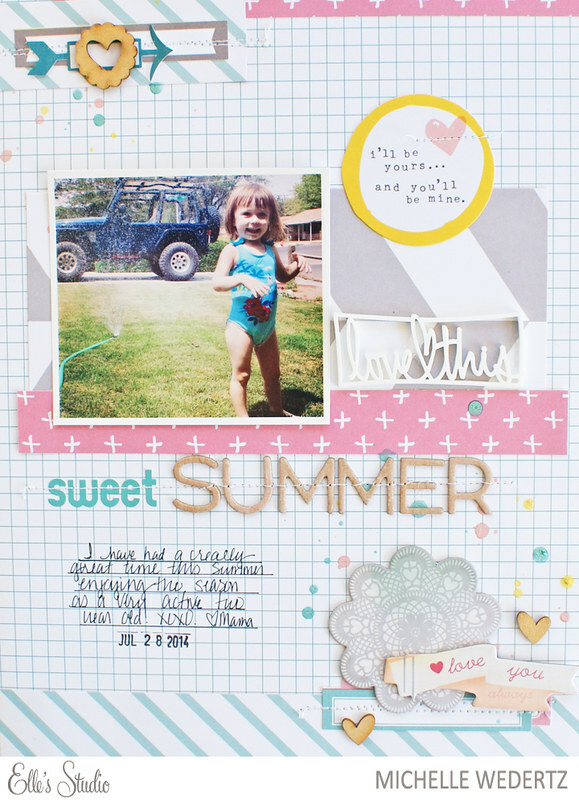 This month at Citrus Twist Kits, they are offering a cool "Good Books" stamp which actually inspired the subject of this next layout, Summer Lovin'. 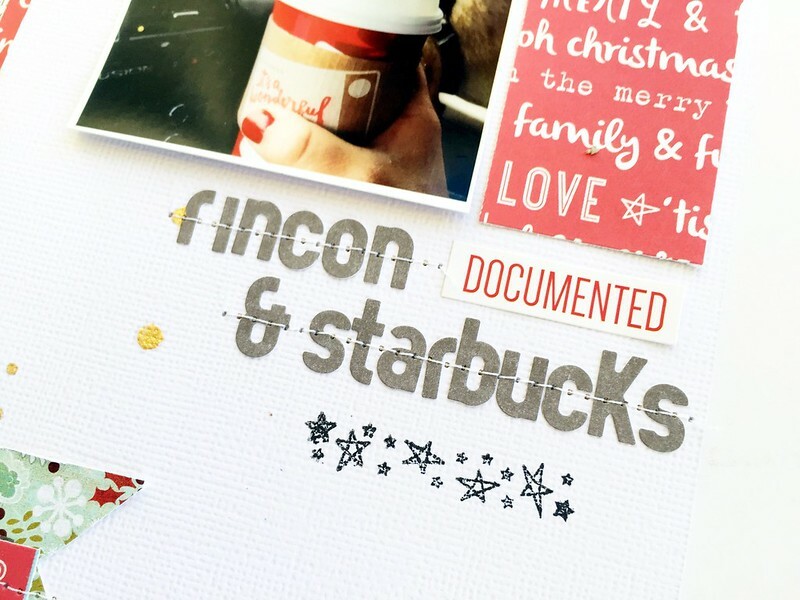 My two hobbies are scrapping and reading, hence the name of my blog, Paper & Print, but in all honesty, scrapbooking takes up most of my free time. However, when I am off on a beach adventure the first thing I pack is a new book to read. Most of the time, I only read on the trip while my husband is driving because watching two little ones at the beach takes pretty much all of my attention. However, once in a while I am lucky enough to have a few moments to read on the sand! 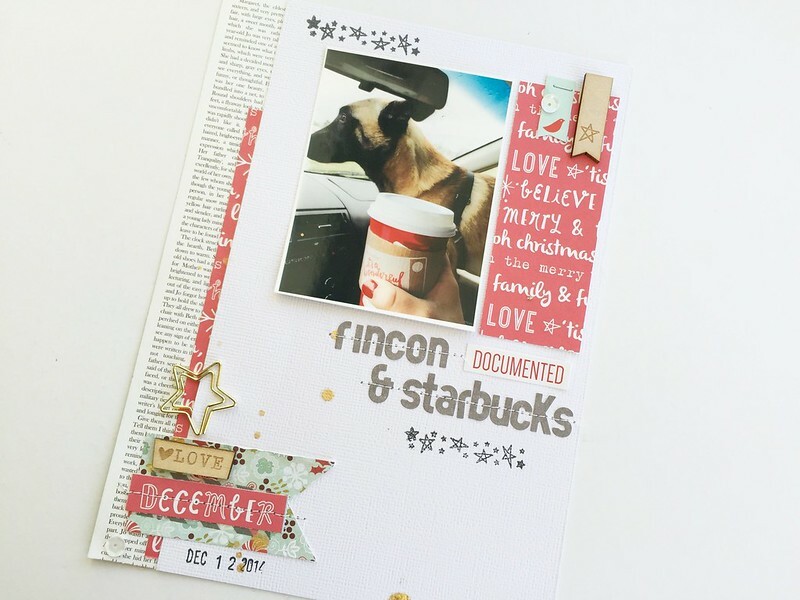 One of my favorite things about the kits from Citrus Twist, is the patterned papers that Trina (owner of CT) puts together. I am always excited to see the combinations she comes up with. 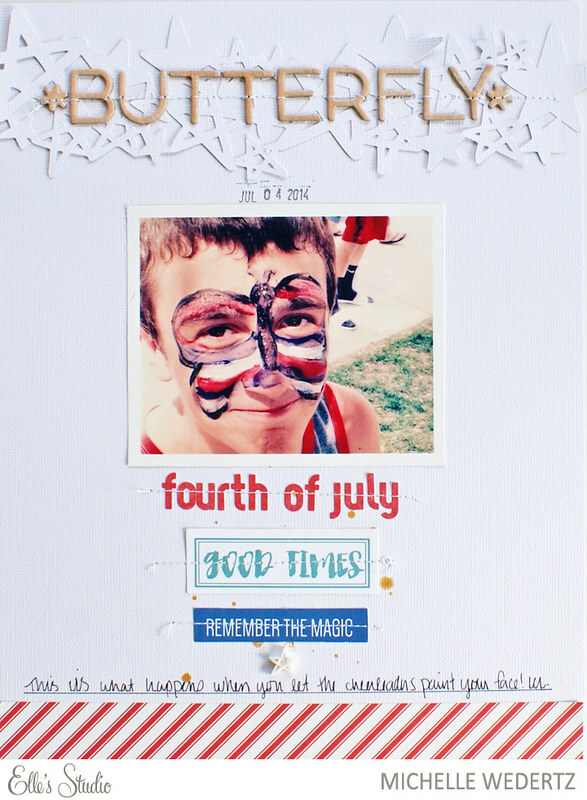 For this layout I combined papers from the July Add On Kit with the one of the papers from the Pattern Play Kits to come up with the fun and possibly new fave color combo of red, pink, and blue! 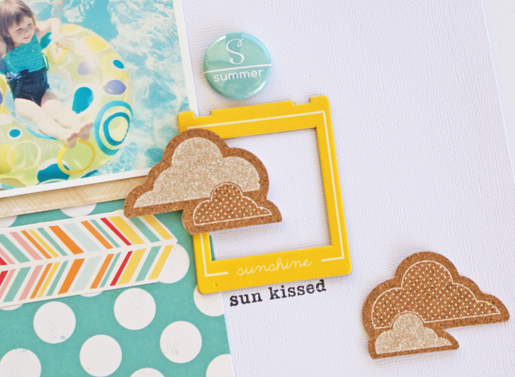 The exclusive July Kit from Elle's Studio is now live and it's awesome, so lets jump right in! For more inspiration and to see how the rest of the Design Team used July's products, make sure and check out the new gallery! Hello! This morning I want to share one more layout that I have made using the Hip Kit Club June Kits before I move onto the new kits! 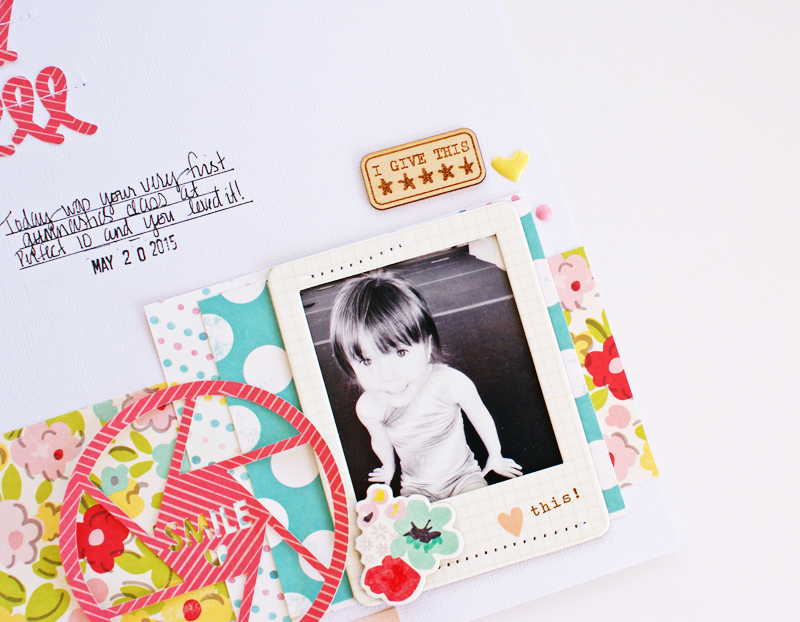 For this layout I wanted to keep it both simple and sweet to let the photo and journaling shine. This particular story was a BIG one for me personally. It was one of those moments that just made me feel so incredibly wonderful inside and turned my heart into a mushy puddle of love. LOL. With that being said, I wanted to keep the heart of the layout on the story with less focus on the technical side. 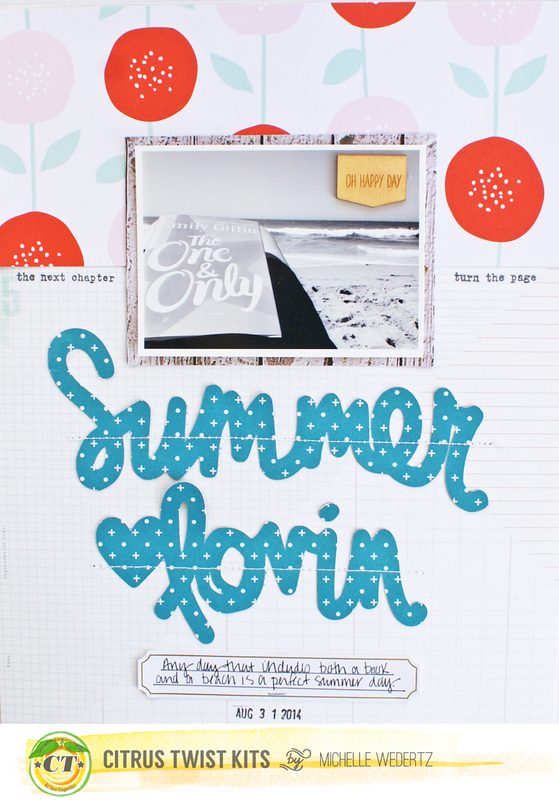 To do this I went with a comfortable design-basic layers with clusters of embellishments. 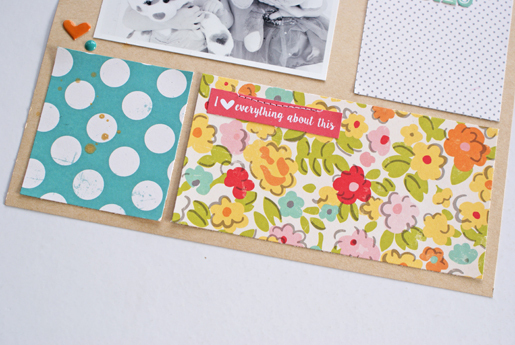 My embellishments also reflected the mood of the story-pretty florals to match that warm fuzzy feeling in my heart.